Just yesterday, Riot Games confirmed the release of two new champions coming to rift soon. 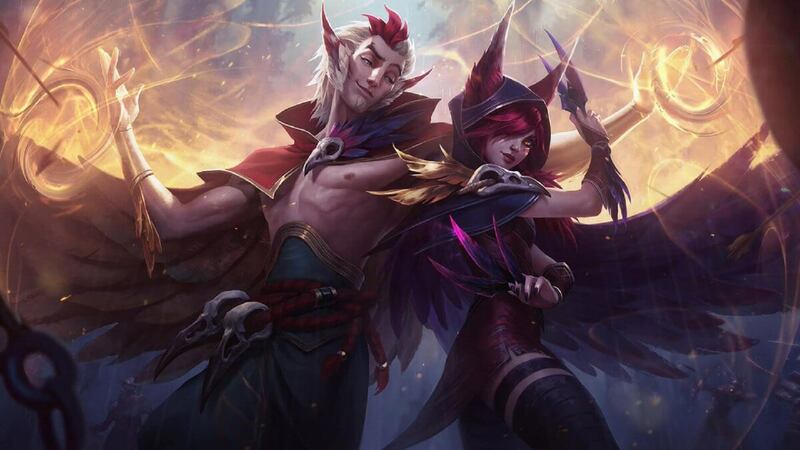 Xayah, the Rebel, and Rakan, the Charmer are being released as an ADC and Support duo. This is the first time the League of Legends’ developers have released a duo since Pantheon and Gragas back in 2010. Not to mention, these are two champions that look well balanced and pretty dang cool to play. Both are bird themed. While Xayah uses feathers to destroy her targets, Rakan uses a combination of charms, stuns, and shields to set up some great plays. Here’s a video which displays Xayah’s abilities in an in-game scenario. Just dang…I think the age of the ADC may be returning. Obviously, Xayah works best with her lover, Rakan. But I like how the creator of this champion made her so that she can be just as effective with any other support. Her ultimate (Featherstorm) ensures survival in the most deadly of scenarios–as shown in the video above, with her disengaging herself from a Zed ultimate. Featherstorm can be used for a number of these sticky situations where Xayah gets caught out by an enemy assassin, or any other ability that would end her life. Now let’s take a look at her lover and preferred support, Rakan. As you can see, Rakan performs just as well without Xayah around as he would with her by his side. Viewers can see her entering the fight after its conclusion. This is good news, because, at first, I thought that this duo would have to be together to perform as effectively as needed in League of Legends. Thankfully, though, Riot has created a pair of champions that are only better together with one ability each. Rakan’s E ability (Battle Dance) lets him rush to an ally, shielding them in the process. But if Xayah is the target, he can rush to her from an increased distance. Xayah’s W (Deadly Plumage) allows her to give Rakan this ability’s effects if he is nearby. These are the only two abilities that are made better when the two lovers are working together. Oh, and they have a synchronized recall. Lookin’ provocative out there you two.